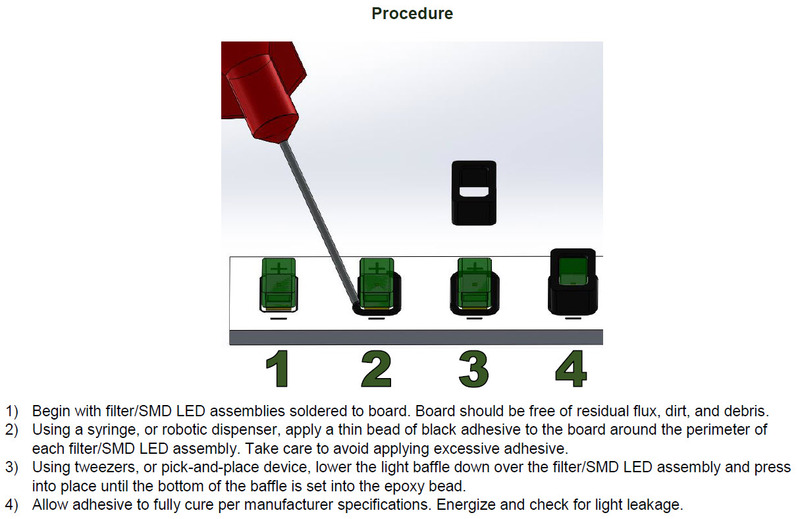 Stray unfiltered IR light emitting from the bottom of the LED can cause IR leakage. Potting using IR Opaque potting material may be required to light-seal the assembly. Lumitron IR Opaque Light baffles are now available to facilitate this process. 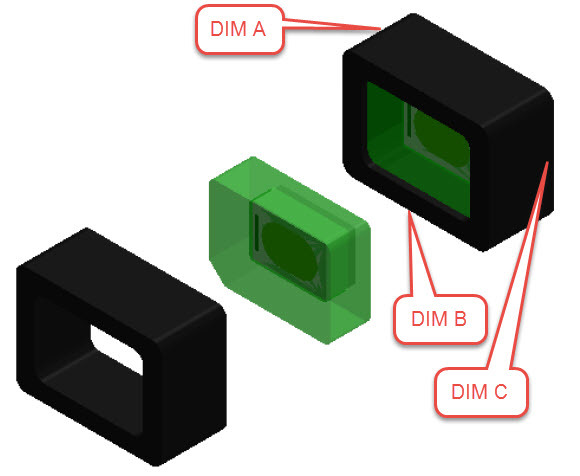 It is important to match the correct light baffle part number to the NVIS SMD part number for optimal light sealing. Enter the NVIS SMD part number into the Light Baffle Selector search window to cross-reference to the Lumitron corresponding light baffle part number. Outside dimensions of the light baffled NVIS SMD LED are included.